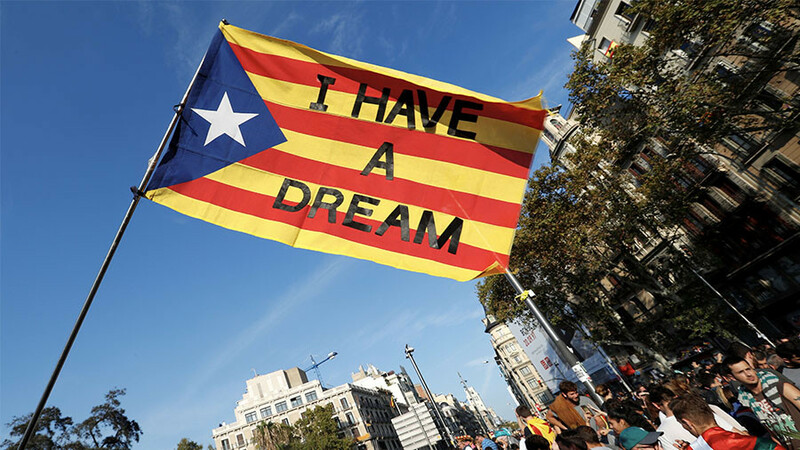 Over 80 people have been injured in clashes with riot police in Barcelona and elsewhere across Catalonia, as angry protesters denounced the arrest of former separatist leader Carles Puigdemont in Germany earlier on Sunday. Armed with batons, riot police officers faced-off with an angry crowd as they attempted to prevent the protesters from marching on the office of the central Spanish government’s representative in Barcelona. Police reportedly fired warning shots and bludgeoned protesters as eggs, cans and glass bottles were thrown from the crowd at the officers. 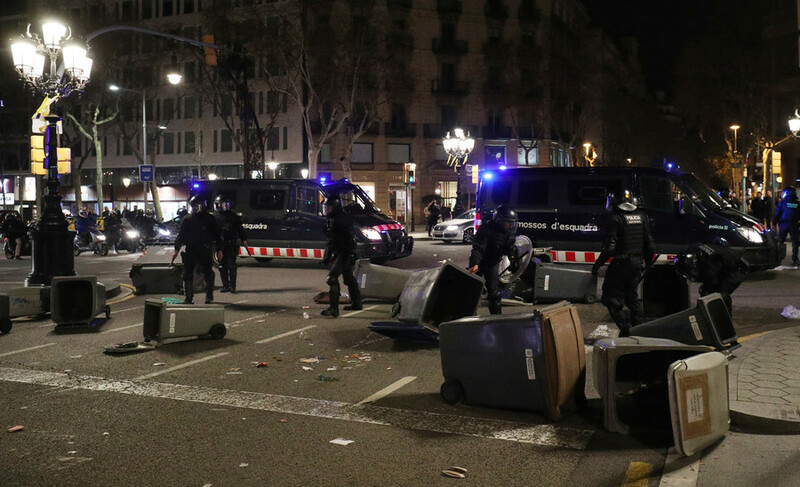 At least 79 people – including 13 officers – were injured in clashes, according to the Catalan capital’s emergency services, AFP reports. 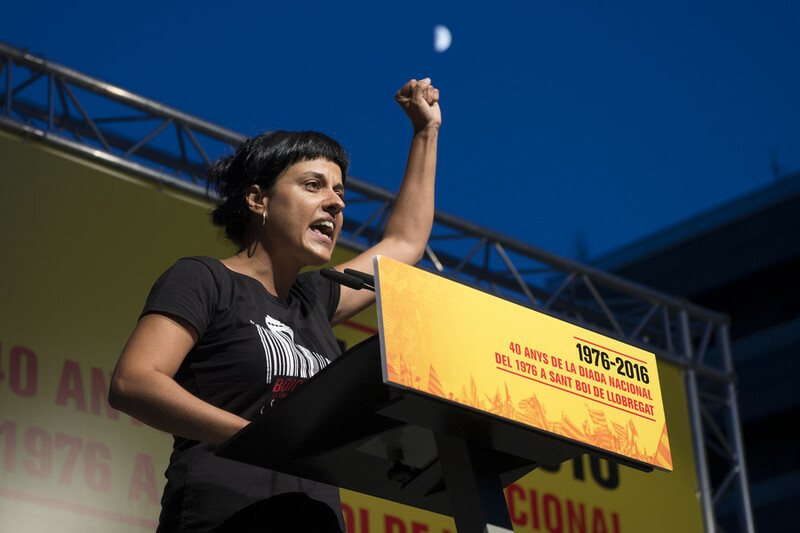 In addition, eight more people were reportedly injured in separate brawls with authorities during pro-Puigdemont rallies elsewhere. Meanwhile in Girona, hundreds of Catalans staged a mass protest in front of the government sub-delegation, with a banner reading ‘liberty’. Later, the demonstrators blocked part of a highway, reportedly triggering minor scuffles with car drivers. The violence forced the Catalan parliament speaker, Roger Torrent, to take to regional television and appeal to the public for calm. 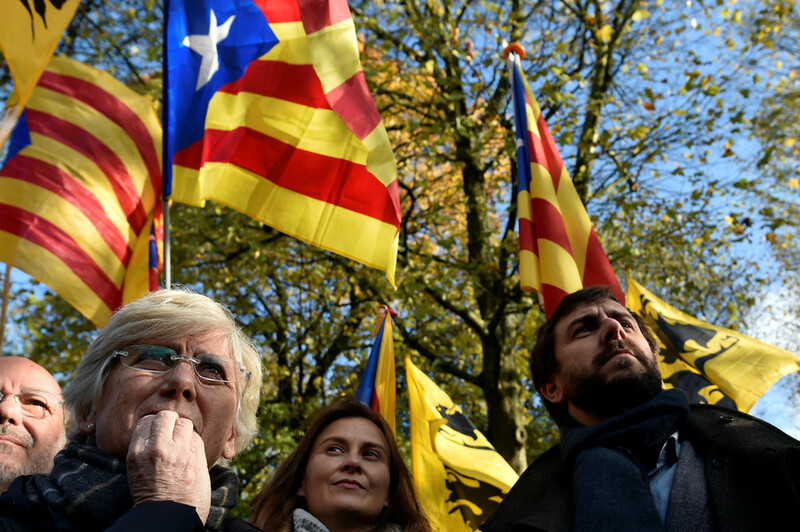 "I have no doubt that Catalan society will act as it always has, with non-violence," he said. A European arrest warrant for Puigdemont and a number of his aides was issued by the Spanish Supreme Court last Friday. 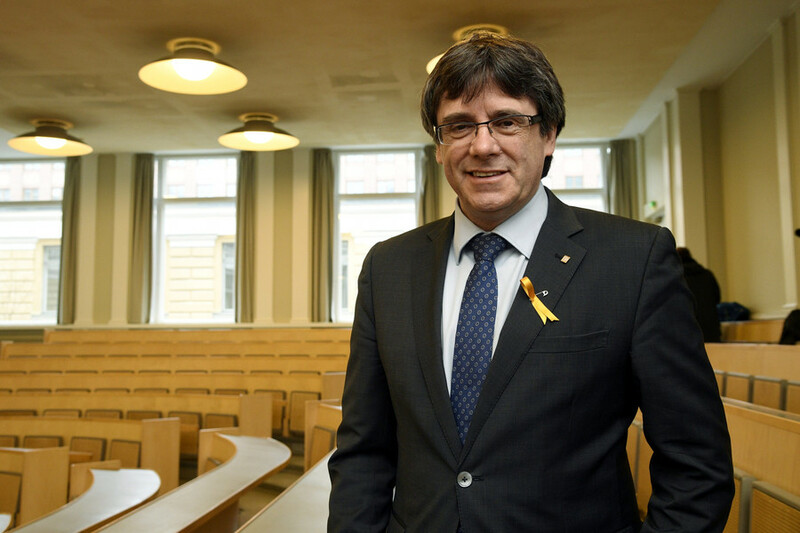 On Sunday, Puigdemont was eventually detained, having crossed the German border with Denmark and after narrowly evading arrest in Finland. 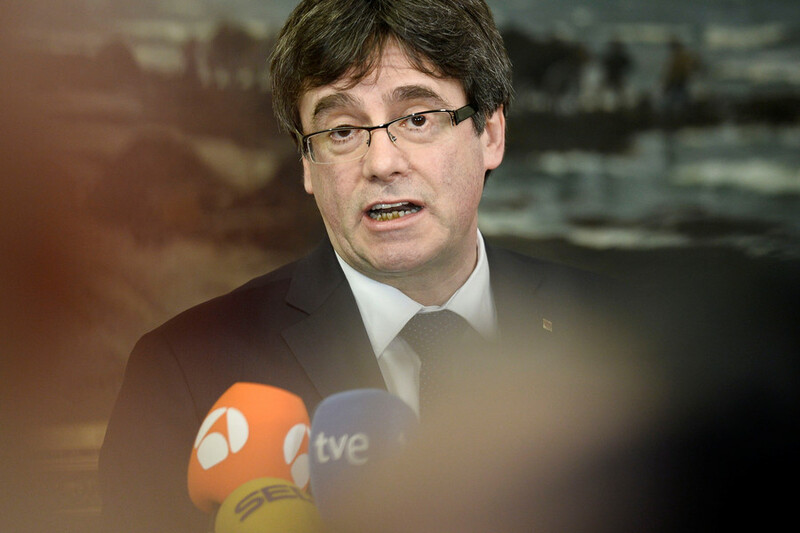 Puigdemont stands accused of rebellion and sedition, after leading a pro-independence referendum deemed illegal by Madrid late last year. A number of his colleagues, who had helped organize the ballot, have spent time in jail and are now facing trial. Puigdemont himself is facing up to 25 years in prison.